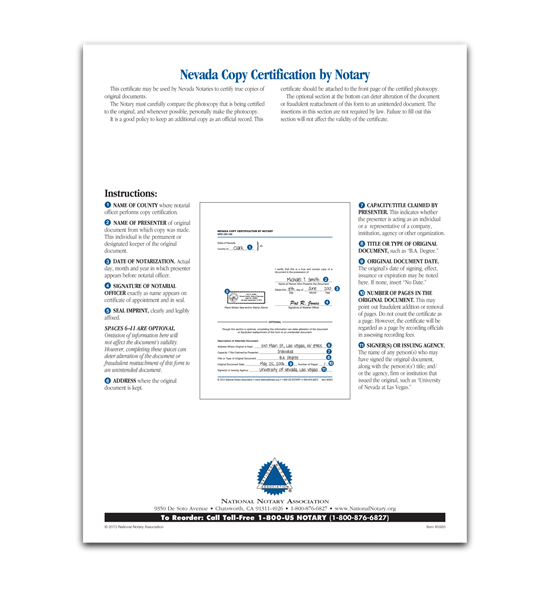 This certificate may be used by Nevada Notaries to certify true copies of original documents. Pad of 100 certificates. We're sorry. 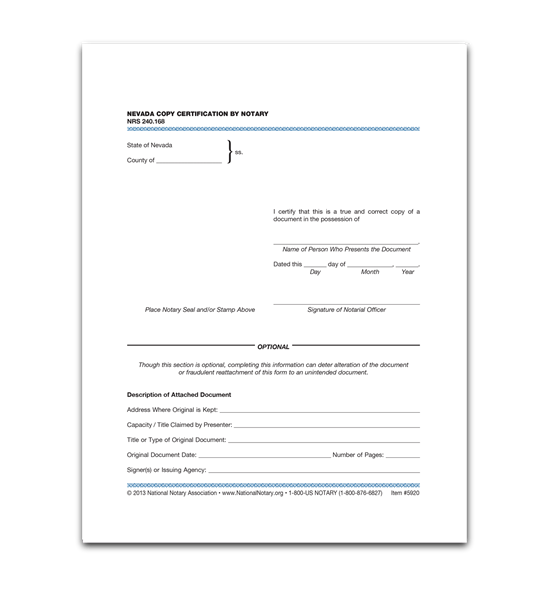 Nevada Copy Certification by Notary is not available for use by Notaries in Virginia. If the chosen state is incorrect, you may change your state at the top right of the page.